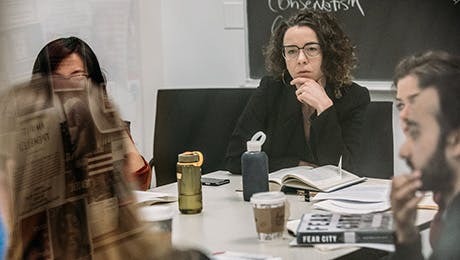 Graduate study at The New School for Social Research is challenging, transformative, and rewarding in ways you may not anticipate. You take an active role in developing scholarship and charting a course for your own research and future. The Office of Academic Affairs is here to support your work and to offer resources complementing those available in your department. Each program has faculty and dedicated student advisors who can answer your questions and provide guidance about coursework and student life. Hours: Monday-Friday, 10:00 a.m.-6:00 p.m.